Of all the holidays, Mother’s Day is one that usually sneaks up on me. Which is ridiculous. There aren’t many people that I appreciate than my mother and mother-in-law. They help us out a lot. Also, I’m a mother. So this day dedicated to celebrating us shouldn’t be such a sneak attack every year. 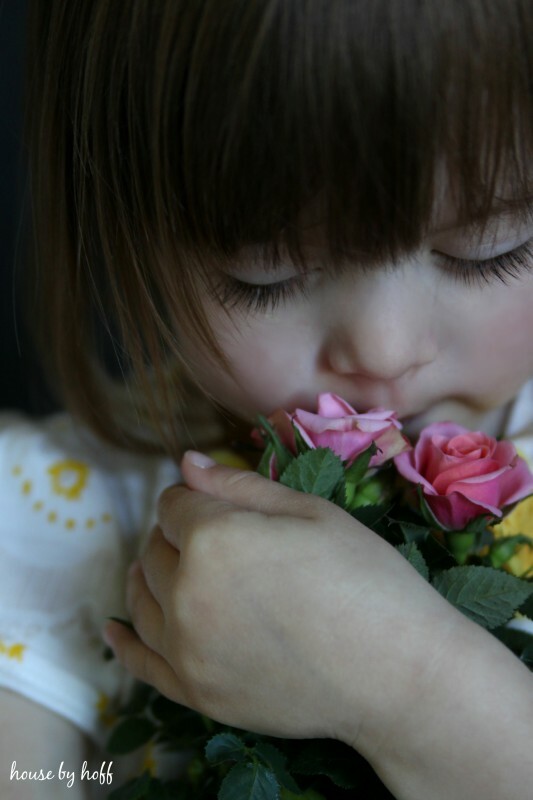 Over the weekend, (two weeks before Mother’s Day!) 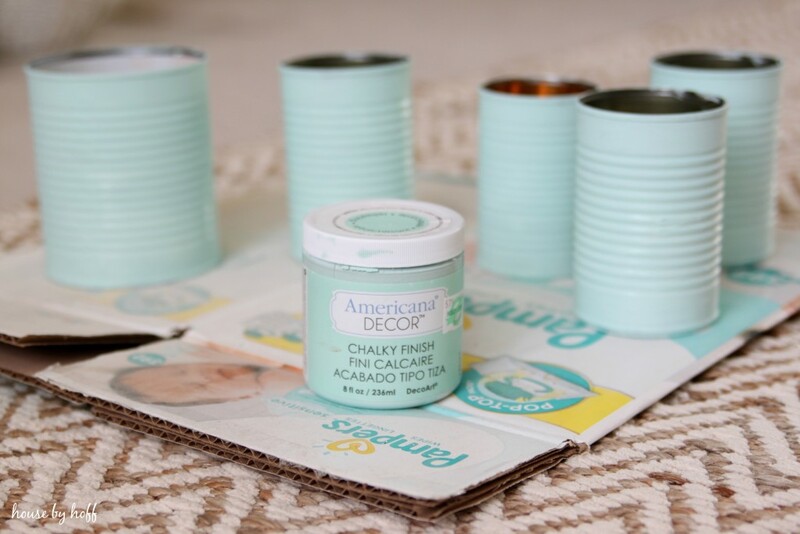 I painted some tin cans with American Decor’s Chalky Paint in “Refreshing”. It took me like 10 minutes to do this while I was watching the Real Housewives of Beverly Hills Reunion. By the time Kim and Kyle were finished arguing (well, they’re never really going to be finished) I was done. 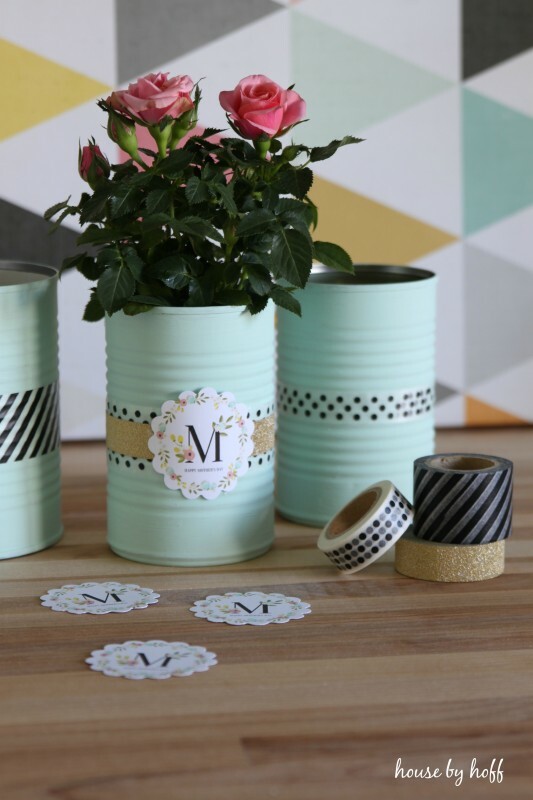 Next, I used some washi tapes (all from Hobby Lobby) and this free printable from The Painted Arrow to decorate the tin cans. 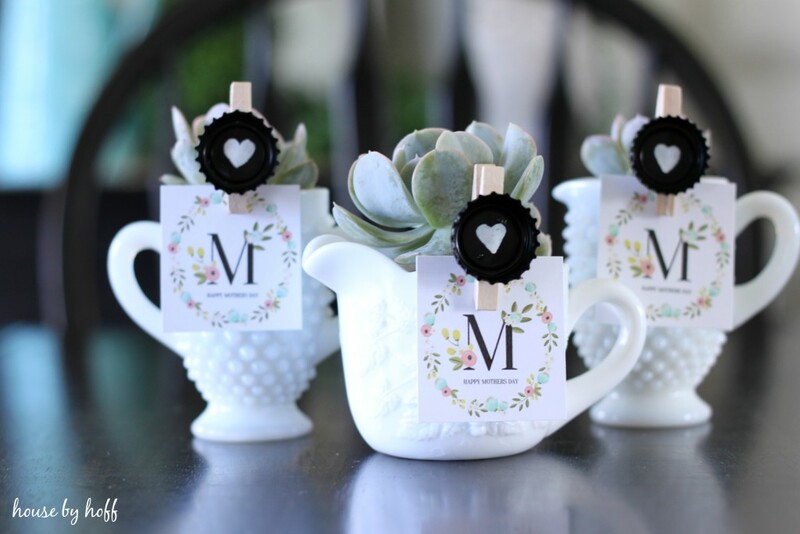 I just printed it out in a tiny size and used my scalloped paper punch to cut them out. 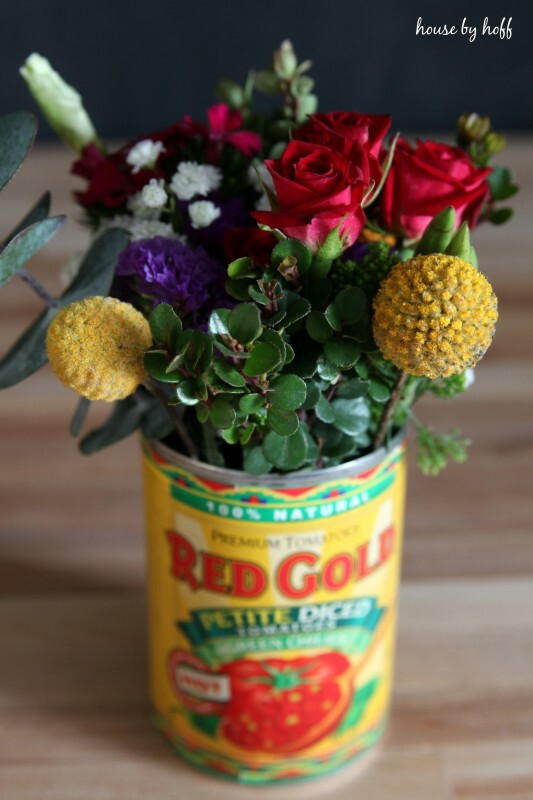 I found the perfect-sized little potted roses at the grocery store. Are those lashes perfection, or what? Oh I just love the ideas!! So pretty!! 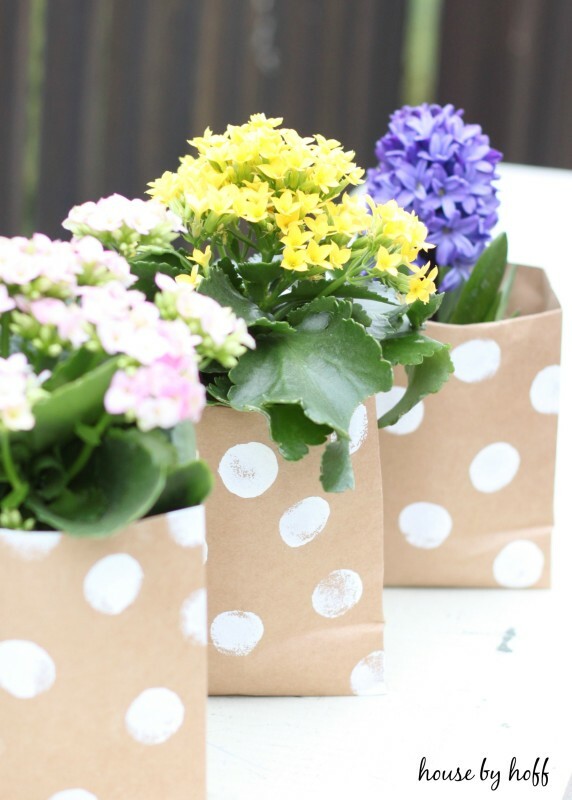 Hi, April ~ These are so beautiful! And that color! Mother’s Day sneaks up on me, too. Frankly, so does Father’s Day. One of these years I will not be rushing to complete a heartfelt, creative gift for these two holidays…But it won’t be this year. I haven’t even thought about what I’m going to do! 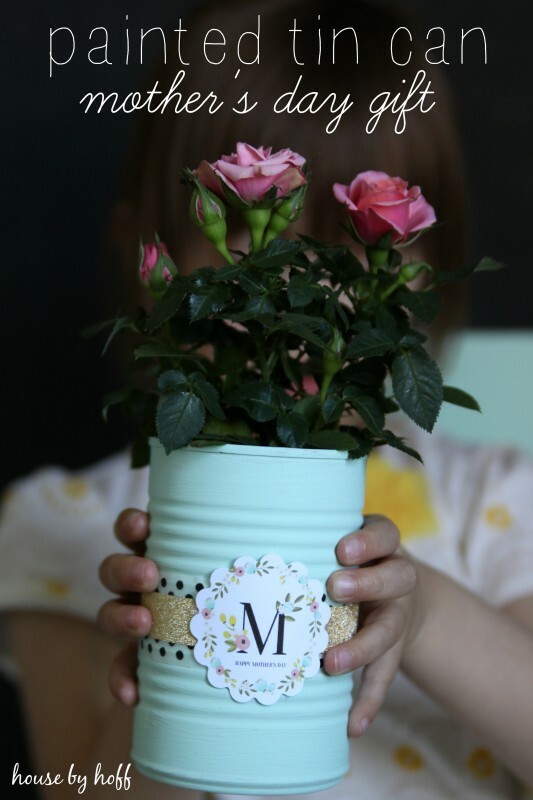 Maybe I’ll grab some inspiration from your adorable tin cans?! :0) Thanks for sharing! 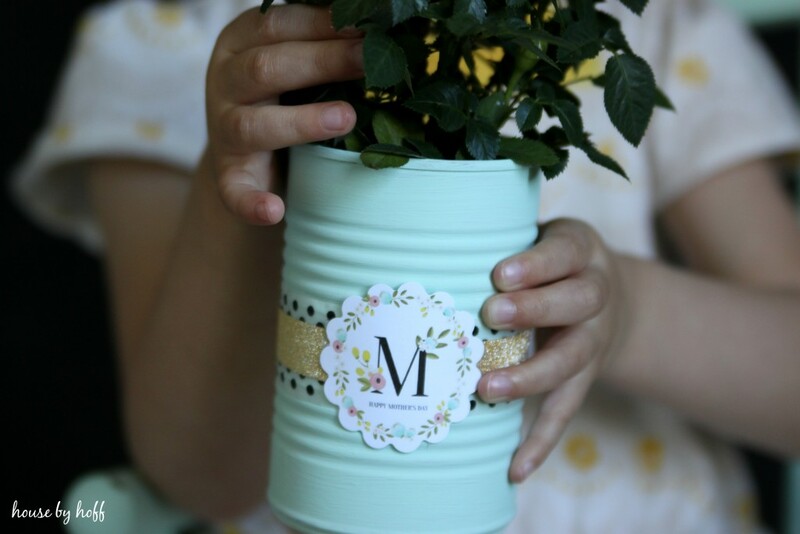 Everything about this Mother’s Day project is just perfect! I love how simple they are to make and how colorful the paint is. Thank you so much for the inspiration! All our teachers and grandmothers are going to get these. Yay! So glad you love it, Ashley! Hi! I love this idea! Do you think that spray painting the tin would also work? The free downloadable printable is no longer available on the website listed. Would you have a copy of it that you could share with me? Thank you!